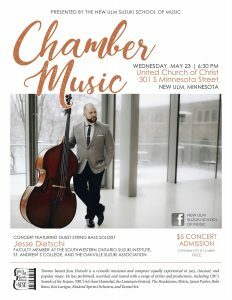 On Wednesday, May 23 at 6:30 pm, the New Ulm Suzuki School of Music will be presenting a concern featuring bass soloist Jesse Dietschi at the United Church of Christ in New Ulm. Mr. Dietschi is a current faculty member at the Southwestern Ontario Suzuki Institute. Tickets are $5/person and kids 10 and under are free. You can download a concert poster PDF and share with your friends and family! We hope to see you there! 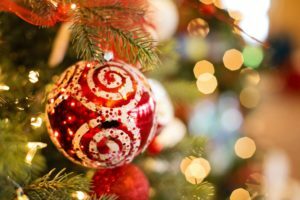 There has been a change of venue for the upcoming Christmas Concert. 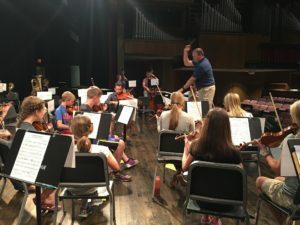 Instead of next Monday’s practice and Sunday’s concert being at the United Church of Christ, it will be held at Christ the Kind also in New Ulm. The 2016 NUSSM Christmas Sing Along is coming this Sunday, December 4, starting at 3:00 pm at the United Church of Christ in New Ulm, MN. 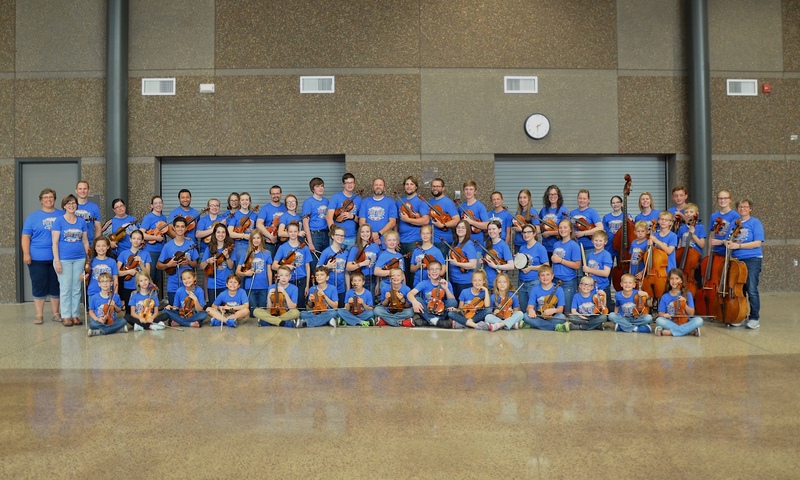 Kick off the Christmas season with the students of the New Ulm Suzuki School of Music. Students should arrive at 2:40 pm and been their Christmas finery. Bring along your favorite treat(s) to share in a dessert potluck to follow the sing along. The 2016 Pops Camp Concert is coming up on Friday, July 22, 2016 at the Martin Luther College Wittenberg Collegiate Center Auditorium at 7:00 pm. Tickets are $2.00/person at the door. Coming up on May 10, 2015 at 3:30 pm is something new for us … a year-end picnic/potluck and play-in! For Whom: Invite you family, friends, and neighbors! The play-in is for all NUSSM instruments and following the play-in will be a picnic/potluck! NUSSM will supply disk and root beer floats. Please bring your own eating supplies.